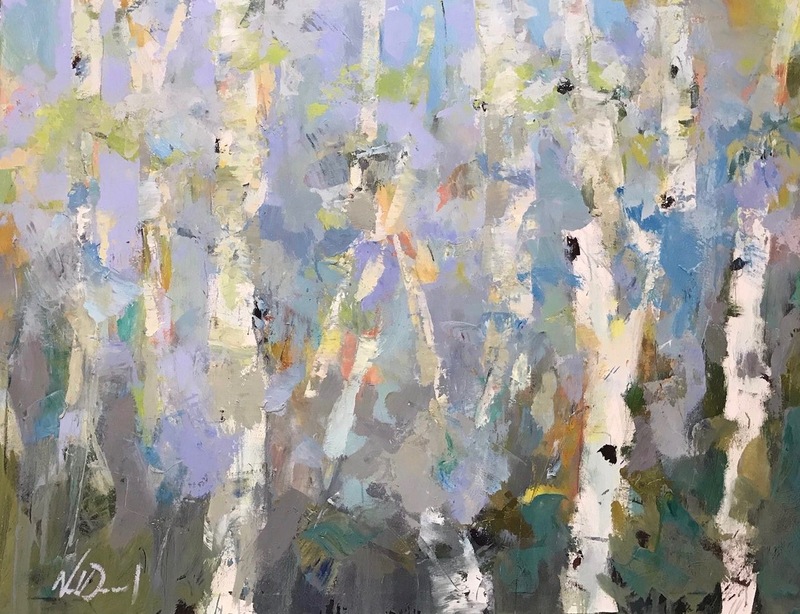 Inspired by nature, Noah Desmond has an impressionistic style that borders the edge of abstraction. He creates landscapes and florals with bold colors and a sense of movement that draw you deep into the work. His energetic compositions are rendered with vibrant color, vitality, and spontaneity. Noah’s textured canvases are created by layering pigments with both palette knife and brush, resulting in exciting landscapes, rich in depth and vibrancy. After graduating from Milwaukee Institute of Art and Design, and receiving a BFA, Desmond attended Chicago Institute of Decorative Finishing, and the School of the Museum of Fine Arts. He is recognized for his painterly approach and freshness to his work, earning him a place in corporate as well as private collections.